Which language has the most words? Comparing the number of words used in different languages is difficult - particularly if you include non-alphabetic languages (Chinese, for example). We can, however, use dictionary size when it comes to the principal European languages. 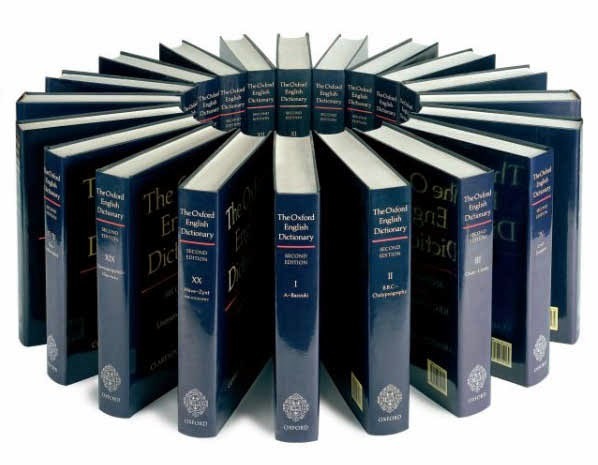 The OED is by far the largest dictionary. It has 23 volumes and defines 615,100 words. ❏ A similar German dictionary offers around 180,000 words. ❏ A French edition has less than 150,000 words. However there is another problem in making this comparison. How do we define as a word? The OED distinguishes 430 senses for the verb set - see here. Should each be considered each of these as a separate word? Linguists make the distinction between words and lexemes. The lexeme ‘run’, for example, includes all its forms: run, running, ran etc. Are all the words in OED in common use? 41,700 OED words are obsolete. This means that you are very unlikely to use them in either speech or writing. 240 are ghost words. A ghost word has never existed outside dictionaries.